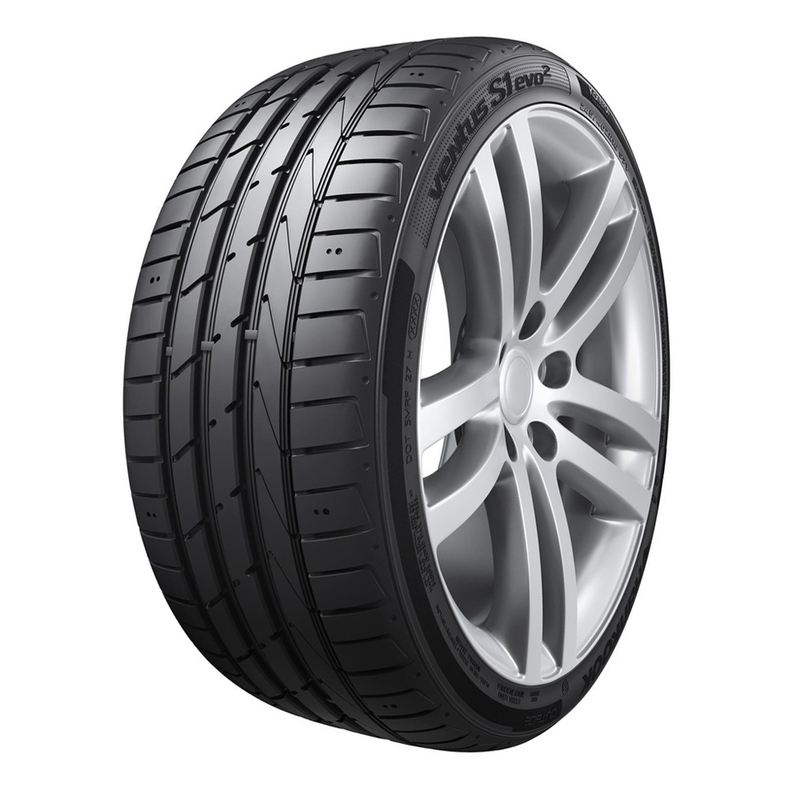 Hankook Ventus S1 Evo2 K117B tire offers drivers an excellent balance between wet and dry performance needed in a premium summer tire. <p>This performance tire from Hankook offers shortened braking distances in dry and wet conditions along with enhanced fuel efficiencies thanks to very low rolling resistance. <p>This tire provides excellent grip and safety due to the high grip silica tread compound. 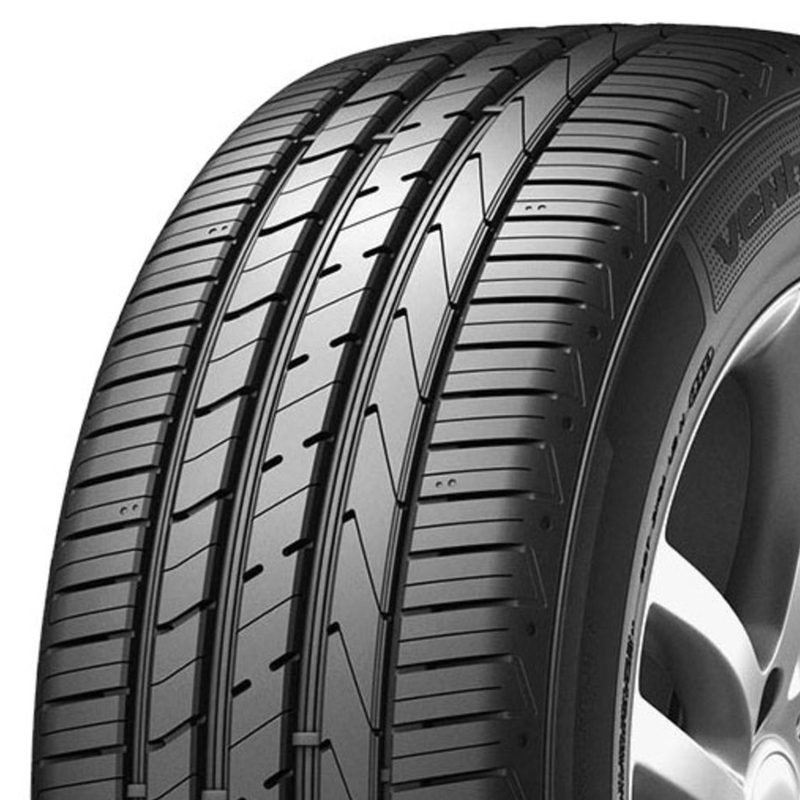 <p>This hard and durable rubber in the tread of the Hankook Ventus S1 evo2 tire gives improved wet braking performance, while the wide steel belts across the crown of the tire offers stiffness for immediate response from steering inputs needed during spirited driving or evasive high speed maneuvers. <p>In addition, the polyester carcass and high-density rayon contribute to the wet and dry handling while the high stiffness bead filler enhances sidewall durability and sport performance feel.